NEW YORK: Omnicom Group has reshuffled the leadership team of its Diversified Agency Services division, naming president and CEO Dale Adams chairman and CEO, while CFO John Doolittle has assumed the additional role of president. The changes went into effect Tuesday. Adams reports to Omnicom president and CEO John Wren, while Doolittle reports to Adams. The DAS division includes more than 200 of Omnicom's marketing communications firms, such as Fleishman-Hillard, Ketchum, Porter Novelli, Cone Communications, Marina Maher Communications, and Mercury Public Affairs. The CEOs of DAS agencies will continue to report to Adams. Last week, Omnicom said DAS chairman Thomas Harrison would transition to chairman emeritus of the division on April 1. Adams joined Omnicom in 1991 and became CFO of DAS in 1996. The holding company appointed him president of the unit in 2008 and CEO in 2011. He succeeded Harrison, who became chairman at that time. 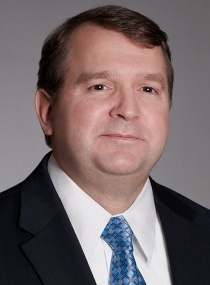 Doolittle joined DAS in 1990 as CFO of the Americas and has served as global CFO since 2008. Since then, he has played a key role in financial management, geographic expansion, acquisitions, organic development of services, and talent strategies, the holding company said in a statement. Prior to Omnicom, Doolittle spent 10 years as North America CFO at IPR, a marketing services holding company. "Importantly, in an increasingly complex marketing and communications environment, [Adams] and [Doolittle] know how to attract and retain talent and help our agencies adapt, grow, and deliver for the benefit of our clients,” said Wren, in a statement. This story was updated on April 2 with more information about the reporting structure within DAS.